Would you like the chance to win a weekend break in Whitstable for 4 people, then hury over to our facebook page and like and share our post. What has happened to the trees opposite the office? I thought as I came into work the other day. It may now be officially Autumn, but what better time to book your next short break for two or holiday for all the family? For bookings taken in the month of September only, we have an offer you won’t want to miss. We all love a cream tea don’t we? 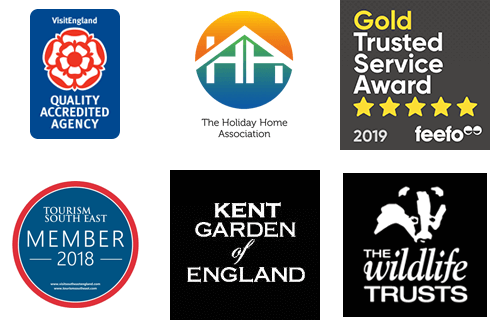 Well here in Kent we have holiday cottages close to the top 25 in the county. I’m not saying visit every tea room during your stay, but it would be fun trying! Ramsgate Week is in full swing. Get your walking boots ready. National trail is pleased to announce the opening of a 66 mile route from Camber to Ramsgate. This will be fantastic for our area as Kent and Sussex Cottages have properties in both Camber and Ramsgate plus others along the route. Margate Jazz Festival 23 - 25 September. Put the date in your diary. Already several great artists lined up for this popular event now in its 11th year. This elegant spa town is an ideal holiday destination if you want all the convenience of being in a town whilst being only minutes from the beautiful rolling countryside which surrounds it. Quaint seaside towns to visit this summer. Quaint seaside towns to visit this summer as featured on time out website include Margate and Broadstairs in our area. Margate, described as shabby chic with a growing emphasis on chic.